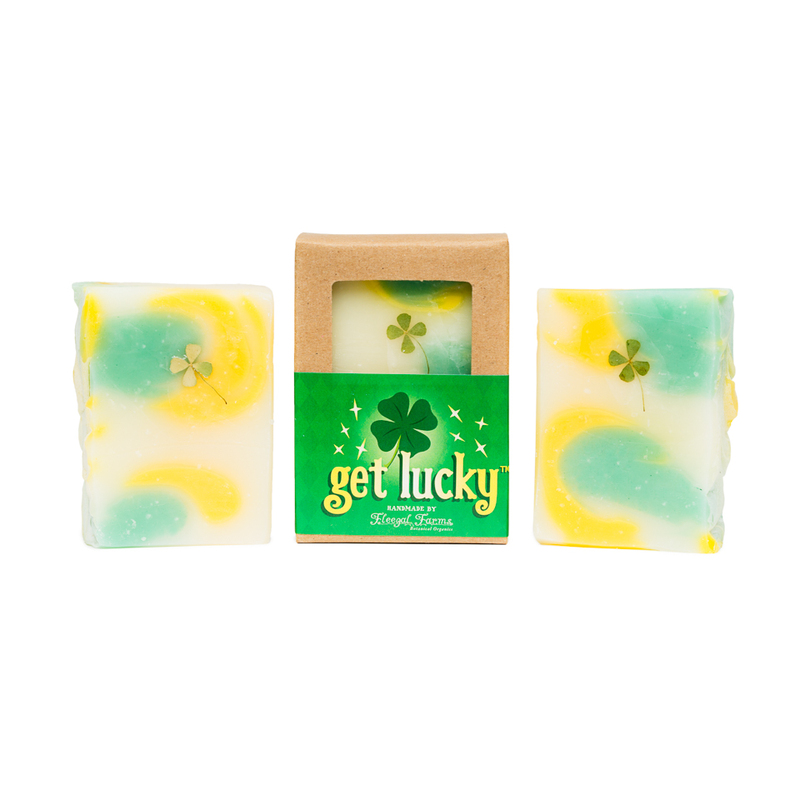 Get Lucky Soap™ Palm Free Soap Scented with Peppermint and Lemon and made with Magic. Natural, Cold Process, Essential Oils. Whether your awesomeness is the result of luck or skill will no longer matter after just one of use this soap. Each bar is carefully formulated with skin healthy botanical oils and magic to help you get what you want and need from life. No longer will you be at the mercy of a the universe, leprechauns, or a genie to gain what was once only imaginable. Each bar comes with a genuine 4 leafed clover to ensure effectiveness of the magic and subsequent luck. Ingredients: (aqua) rainwater, saponified oils of cocos nucifera (coconut) oil, olea europaea (olive) fruit oil, oryza sativa (rice germ) oil, prunus amygdalus dulcis (sweet almond) oil, butyrospermum parkii (shea) butter, ricinus communis seed oil, essential oils of peppermint and lemon, and mineral colorant.